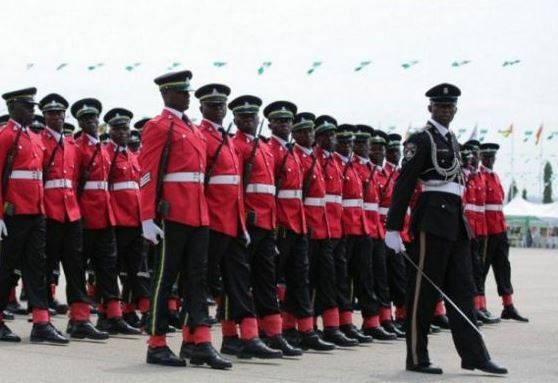 Some security experts in Lagos on Wednesday expressed divergent views on the creation of state police which many believe would tackle the various security challenges facing the country. The experts who spoke to the News Agency of Nigeria (NAN) in separate interviews applauded the idea. Mr Olanrewaju Fashakin, a security consultant, commended the idea but urged the Federal Government to create another body that would regulate the state police. “The idea of creating state police is good but if created, the Federal Government should also set up a body to its excesses if any arises. “The Federal Government should take into consideration the fact that some states may become power drunk and decide to utilise the police for personal or political vendetta. “This body will be there to check these excesses and always put the state police on the right path,’’ Fashakin said. Mr Mike Udoye, the Head of Operations at Bulls Security, said that state police would do the nation good, adding that it would bring the police more close to the citizenry. “The creation of state police is another form of community policing. This is because the issue of transfer from one state to another will stop and this will make police officers more familiar with their terrain. “When a policeman is more familiar with his terrain, it helps him to establish the right rapport with the people, as both can identify and tackle security challenges,’’ Udoye said. Mr Abdullahi Tijani, a security consultant urged the Federal Government to first of all carry out a feasibility study in order to test its workability and efficiency before approval. “State police should be put to test in some states first, then the result should determine if it will be implemented in all states,’’ Tijani said. Mr Muyiwa Olalere, retired security personnel, said that the creation of state police would help the police to easily tackle security challenges in various parts of the state. According to him, it will also make it easy to identify the bad eggs among policemen across board. “Creation of state police will not only help the police to be focused, it will also make it easy to point out bad elements among them. “Accusing fingers will be pointed in the right direction if there is any need to, and erring officers will be immediately identified and dealt with,’’ he said. NAN reports that the Vice President, Yemi Osinbajo had on Feb. 8 at the National Security Summit in Abuja, called for the establishment of state police to effectively tackle the various security challenges facing the country. Osinbajo said the Nigeria Police with the present centralised structure was too defective to be useful in combating worsening security challenges in the country. He urged that in the interim, the number of police personnel must be increased reasonably to be able to match the frightening unfolding insecurity in the country. The vice president also warned Nigerians not to allow the present security situation to assume a religious dimension.